BackgroundRecruiting for research studies is always a challenge, particularly in paediatric studies. Here we report on experiences recruiting children to five studies through primary care. MethodsThe Scottish Primary Care Research Network (SPCRN) has approval to identify for research studies eligible participants on primary care practice lists. The number of potential participants and the proportion recruited onto five paediatric studies are provided along with factors involved in recruiting practices and patients. ResultsA total of 4910 individuals were recruited, of whom 367 (7%) participated. Recruitment of practices varied between 7 and 44% for different studies. There was evidence that practices who had participated in previous studies were more likely to participate again. Patient participation was positively related to affluence and there was evidence that adults were more likely to participate than children. DiscussionDespite the pressing clinical workload in primary care, many general practices are still able to make accommodation for research activity. What is required is effective communication between colleagues in primary care, researchers, the SPCRN and patients. Given that the majority of medicine is practiced in primary care, there is a desire for evidence-based medicine to be generated from primary care and the SPCRN and other networks can help to provide this. Children with acute and chronic respiratory illnesses are seen every day in primary care and there is an emerging body of evidence upon which to build guidelines for the management of common conditions such as asthma, bronchiolitis and lower respiratory tract infection. Inevitably, some aspects of management remain based on good practice, rather than evidence, and there is an ongoing interest from patient groups, Funding bodies and regulatory bodies for more evaluation of current and new therapies in paediatric respiratory medicine. Knowing that the majority of paediatric respiratory medicine is delivered in primary care, it makes sense to recruit from there. There are, however, concerns about recruiting children to clinical trials using primary care and these, in our experience, include: (1) an initial reluctance from general practitioners (GPs) to add research activity to the weight of clinical activity already taking place, (2) a lack of enthusiasm for research per se, (3) issues of confidentiality in accessing primary care records, and (4) protecting patients from unsolicited invitations to participate in research (for example, patients receiving trial invitations without prior discussion). Our experience is that these issues can be addressed by good interprofessional teamworking. Here, we present our experiences of recruiting to clinical trials from primary care. Although the studies were related to paediatric respiratory medicine, we believe that many of our experiences can be extrapolated generally. The Scottish Primary Care Research Network (SPCRN) is funded by the Chief Scientist Office (www.cso.scot.nhs.uk) and employs coordinators who, between them, cover all health boards in Scotland. The coordinators liaise between researchers and primary care practices to facilitate recruitment of members of the general population to research studies in a standardised way. substantive or honorary contract, or research passport, and signing confidentiality agreements with each practice as required. SPCRN staff are familiar with the databases used by GP practices and are expert in designing search templates to match complex eligibility criteria. These templates search practice databases using the ‘Read’ codes used within the practice database system to code patient information. In this way, they can search for patients that match study requirements without reading through individual patient records. They are also familiar with common research requirements that are generally unfamiliar to practice staff such as random sampling, stratified sampling, assignment of study numbers and extracting anonymised data. Practices receive modest financial reimbursement for facilitating SPCRN studies, typically £300 per study. The recruitment strategy adopted by SPCRN is tailored to meet the needs of each project in terms of the number, type and location of the practices invited; a local project requiring a small number of practices within easy reach of secondary care facilities will require a different strategy from that of an international study requiring hundreds of practices or another requiring practices in urban/rural locations or specific socioeconomic indices. Practices that take part in SPCRN-supported studies can either select and invite suitable patients themselves, or invite SPCRN staff to assist them in this process by identifying eligible patients and preparing the ethically approved invitation letters for inclusion in the patient invitation pack (Figure 1). The list of eligible patients is screened by a member of the clinical staff before the letters are sent out. The patient invitation pack usually includes a consent form or reply slip for the patient to complete if they would like to take part in the study, and this is generally returned direct to the research office. Depending on the design of the study, there may be no further involvement for the practice as any future correspondence can take place between the research team and the participant. Practice and patient recruitment may take several months, and continued communication and feedback between the SPCRN team and the researcher is key to a smooth and efficient recruitment process. Management of Asthma in School Age Children On Therapy (www.pcrnnw.nhs.uk/mascot.html). This study was designed to answer the question ‘what is the best next treatment step in a child with uncontrolled asthma despite low dose inhaled corticosteroids?’. Wheezing and Intermittent Treatment (www.icms. qmul.ac.uk/chs/pctu/current_projects/wait/25693. html). This study was designed to answer the question ‘does treatment with montelukast during acute wheeze reduce the need to seek an unscheduled medical opinion and can better responders be identified by genetic factors?’. Reducing Families’ Exposure to Second-Hand Smoke in the Home (www.ashscotland.org.uk/projects/refresh). This study was designed to answer the question ‘in the homes of young children whose mothers smoke, does the addition of indoor air quality measurements to standard motivational interview (MI) reduce the child’s exposure to second-hand smoke more than standard MI alone?’. Paediatric Asthma Gene Environment Study (www. asthma-pages.com). This mechanistic study was designed to answer the question ‘are interactions between genetic and environmental factors associated with asthma severity?’. Ethical permission was obtained to collect gender, age and socio-economic status (Scottish Index of Multiple Deprivations, SIMD) for all children identified. This mechanistic study, funded by Merck Sharp and Dohme, was designed to ask the question ‘How does montelukast affect airway epithelial cell release of mediators in adults and children with asthma and is this influenced by hayfever?’. Nasal cells were samples using a small interdental brush and cultured and exposed to montelukast in vitro. Initially, recruitment was solely from secondary care for MASCOT, MSD and PAGES, but participants from primary care were sought after experiencing difficulties in recruitment for the former two studies and a desire to compare results between primary and secondary care for PAGES. Recruitment for REFRESH was only through primary care and for WAIT was through both primary care (including the out-ofhours service) and secondary care. 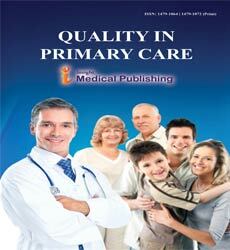 Each study was approved by an ethics committee, including the method for recruiting from primary care. Prior to the first study (MASCOT), no children had been recruited to clinical trials in Grampian using the SPCRN. Figure 2 demonstrates how the number of practices approached varied between 17 and 133 and the percentage of practices recruited varied between 44% (PAGES) and 75% (MASCOT, REFRESH). Recruitment started in secondary care in May 2009 and in primary care in November 2009 and ended in May 2010. There were 546 children identified from 18 practices and of these, nine attended for initial assessment of whom two (0.3%) were randomised, both were followed up for 12 months. Recruitment began in January 2011 for secondary care and May 2011 for primary care and is expected to continue until December 2012. At the time of writing, 521 children had been identified from 14 practices and of these, 44 (8%) attended for initial assessment and all were randomised. There were 1693 children identified from23 practices. Recruitment took between June 2010 and February 2011. There were 279 mothers who responded to the invitation of whom 68 were interested in participation and 59 were eligible. There were 22 replies returned due to the wrong address. There were 48 households who completed the study, 3% of those initially identified. There were 1955 children identified from 41 practices in Grampian and Highland between May and November 2011 and 228 children were recruited (11%). Among the 52 Grampian practices who were approached by SPCRN for the first time for any study, 39% (9/23) agreed to take part whilst 58% (15/29) of those previously approached agreed to participate (2 [df = 1] = 0.82, P = 0.366). Those children who did participate were of a similar age to those who were invited (mean age 11.4 years [SD 2.6] for participants compared with 11.6 [SD 2.7] for all identified) and no more likely to be boys (55% compared with 60% for all identified). Participation did differ across socioeconomic groups (Figure 3) and was 6% among the two least affluent quintiles rising to 15% for the most affluent quintile (2 [df = 4] = 19.7, P = 0.001). Recruitment in secondary care began in March 2011 and in primary care in November 2011. There were 16 children (i.e. aged 16 years or younger) identified from seven practices and of these, none attended the assessment. Additionally, 179 adults were identified from these practices of whom 34 (19%) were recruited (χ2 [df = 1] = 3.79, P = 0.051). The aim of this study was to demonstrate how teamworking between practice managers, GPs, SPCRN staff, researchers based in secondary care and also patients, can successfully recruit children to research studies. Additionally we have provided evidence that patient recruitment may be less successful in children compared with adults (MSD study) and among children of less affluent families (PAGES). Despite the low proportion of children recruited through primary care, the absolute numbers recruited are impressive. We anticipate that, as recruitment for research studies becomes part of usual activity in primary care, both practice and patient participation rates will increase. General practices are places busy with clinical activity and research can appear to be an unwanted additional burden on staff, however, as the majority of health care is delivered in primary care, it is important that research is also given accommodation there. Our experience is that the desirability for research is acknowledged by practices, additional duties are seen to be minimal and small payments are made to cover practice costs, and most practices can accommodate SPCRN. Specific comments from practices included ‘SPCRN do all the hard work’ and ‘it feels good to be a small cog in the research network wheel’. 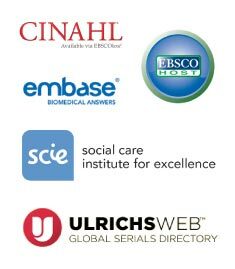 Increasingly, ‘real world’ observations from primary care databases such as General Practice Research database are recognised as a valuable supplement, if not a replacement, for clinical trials and with goodwill from practices and Funding from government and Funding bodies, then primary care can be expected to have an ever higher research profile. Even though we report on a small number of studies, there was a striking difference between the proportions of practices recruited for different trials. One explanation for this might be that practices perceive some trials as more ‘important’ than others and anecdotally, the intervention to reduce second-hand exposure to smoke in preschool children (REFRESH) was perceived to be important. Another factor for practices agreeing to take part is previous participation. In the PAGES study, many practices (often in more rural areas) who had not previously worked with SPCRN were approached to increase the coverage; although the difference in participation rates (39 and 58%) failed to achieve significance, this is most likely due to an underpowered analysis. Other relevant factors may include a desire to be involved in research, a sense of being part of the team if the practice has previously taken part in a study through SPCRN and having knowledge or professional contacts with local researchers and hence a sense of obligation not to let them down. A combination of more than one factor is likely to be important when practices decide whether to agree to participate. We have previously reported how almost 50% of children identified through secondary care were recruited to PAGES, whereas the proportion recruited through primary care was considerably smaller (11%). By contrast, the MASCOT study, where recruitment was also from both primary and secondary care, overall recruitment was 10%;9 it is possible that 50% recruitment is the exception and 10% is more usual. Severity of illness is likely to be one important factor influencing participation rates and secondary care can be expected to include children with more severe symptoms, hence recruitment might be higher in the hospital setting. A second factor important to recruitment in primary and secondary care is affluence; children from less affluent families in both primary and secondary care were less likely to participate in PAGES. The reasons for failing to recruit in less affluent communities are beyond the remit of this study, but literacy may be important.Wehave also reported howchildren recruited from secondary care are slightly younger and more likely to be female but we did not see this in secondary care, suggesting that different factors may drive recruitment in primary and secondary care. There are a number of strengths and limitations in recruiting children through SPCRN. As we have demonstrated, the SPCRN is able to identify a large number of potentially eligible patients for studies in a relatively short time (e.g. 1955 identified in six months for PAGES). An additional strength is that the SPCRN team can identify practices that are better suited to recruiting for individual trials, e.g. population demographics, previous participation. There are also some limitations to recruiting through SPCRN. First, the proportion of participants who agree to take part is 10% and, in theMSDstudy, we observed evidence that adults are more likely to be recruited compared with children. Second,we have demonstrated that although non-participation did not influence the age or proportion of boys recruited for PAGES, there was a clear gradient where recruitment increased from a low in the least affluent communities to a high in the most affluent communities; individuals recruited are therefore not likely to be representative of the general population but this has been observed previously. Third, some participants may be wrongly identified due to out-of-date information held on practice records although only 1% (22/1693) of REFRESH invitations were sent to the wrong address. Finally, diagnosis in primary care is not always objective and this may result in heterogeneous diagnostic phenotypes being recruited although this limitation is equally applicable to secondary care recruitment. There is more than one level of research activity in primary care and our experience is that with interprofessional negotiation, the majority of primary care practices can accommodate research at a level where study subjects can be identified. Given the huge challenge in recruiting to research studies, the activity of networks such as SPCRN in primary care provides an invaluable solution to an age-old problem. Whilst there have been rallying calls for an increased research profile in primary care, there are barriers to delivering research in this setting; in addition to the points mentioned in the introduction, there are issues of training in academic primary care, repeated organisations of primary care which often do not consider how this might affect research activity advantage and changes in evaluation of research output. Whatever the barriers, we believe that we have demonstrated that teamwork between partners shown in Figure 1 can facilitate research activity in primary care through the SPCRN and this is likely to benefit patients, clinicians and researchers at the cost of minimal disruption. The SPCRN feeds back the results of trials to practices where patients have been recruited, ideally this is within six months but more than a year can lapse, and what remains to be seen is whether this inspires some individuals to become more research active in primary care. The authors are grateful to Alison Hinds for her comments on the methodology section of this manuscript. The SPCRN is funded by the Chief Scientist Office in partnership with the Scottish National Health Service (NHS). Scottish Intercollegiate Guideline Network. Bronchiolitis in Children. NHS QualityImprovement Scotland, 2006. Harris M, Clark J, CooteNet al. British Thoracic Society guidelines for the management of community acquiredpneumonia in children: update 2011. Thorax 2011; 66(Suppl 2). Skegg PD. English lawrelating to experimentation on children. BMJ 1977;8041:754–5. Sinha G. EU law mandates drugtesting in children. Journal of the National Cancer Institute 2008;100:84–5. Medicines for Children Research Network. www.mcrn. org.uk (accessed 25 January 2012). Scottish Medicines for Children Network. www. scotmcn.org (accessed 25 January 2012). Stewart PM, Stears A, Tomlinson JW and Brown MJ. Regulation – the real threat to clinical research. BMJ 2008;337:1085–7. Lenney W, Perry S and Price D. Clinical trials and tribulations: the MASCOT study. Thorax 2011;66:457–8. Holgate S, Bisgaard H, Bjermer L et al. The Brussels Declaration: the need for change in asthma management. EuropeanRespiratory Journal 2008;32:1433–42. Turner SW, Ayres JG, Macfarlane TV et al. A methodology to establish a database to study gene environment interactions for childhoodasthma. BMC Medical Research Methodology 2010;10(107):2010. Herland K, Akselsen JP, Skjonsberg OH and Bjermer L. How representative are clinical study patients with asthma or COPD for a larger ‘real life’ population of patients with obstructive lung disease? Respiratory Medicine 2005;99:11–19. Kernick D, Stead J and Dixon M. Moving the research agenda to whereitmatters. BMJ 1999;319:206–7. Kernick D, Stead J and Carter Y. Developing primary care research: primary care trusts – a natural home? Primary Care Research and Development 2002;3:71–3.